The Ulysses scientific investigations encompass studies of the heliospheric magnetic field, heliospheric radio and plasma waves, the solar wind plasma including its minor heavy ion constituents, solar and interplanetary energetic particles, galactic cosmic rays and the anomalous cosmic ray component. Other investigations are directed towards studies of cosmic dust and interstellar neutral gas, as well as solar x-rays and cosmic gamma-ray bursts. Radio science experiments to probe the solar corona and to conduct a search for gravitational waves have also been carried out. 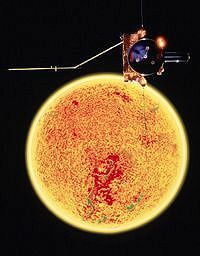 In addition to its own unique observations, Ulysses also plays a key role in the network of heliospheric spacecraft that includes SOHO, Wind, ACE, Voyager, Solar-B, STEREO and the upcoming SDO mission.